Admiral Markets lets you access mobile trading from almost any Android device available. This top-notch software is designed for traders that are not only looking into placing their orders from mobile devices, but also for those who wish to perform basic technical analysis on a fully fledged chart, available right in their pockets. Let’s see what is inside of the MT4 mobile Android platform for you. Quotes lets you quickly preview the current market situation, so there is no need to google the current rate for your opened positions. This is certainly useful for those FX traders would like to know the FX rates whilst on the move. MT4 for Android definitely has some of the most powerful charting of all mobile apps for FX trading. Not only can you observe the trend and price changes, but you can also add indicators, change time frames and generally access all of the mobile-friendly and useful features. Adding indicators is easy as never before. 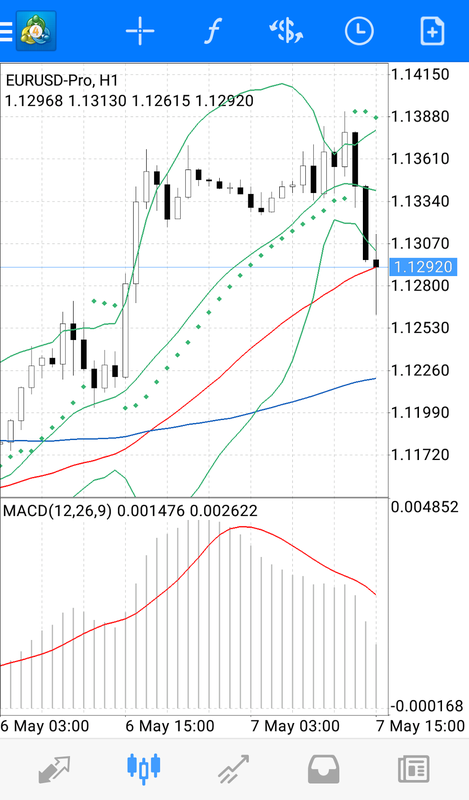 You simply need to tap on the icon on your chart and you will get a full list of available indicators that are subdivided into categories, just like on the desktop platform. With MT4 on your mobile device there is also no need to keep opening additional applications that let you access news releases. You will get notified by a push notification as breaking news happens. Staying in touch with your broker is also made easy with this option. Another great feature of the MT4 App is that it allows you to use all types of orders. Usually a trader would expect to get only market orders on his mobile trading platform, yet MT4 makes stop, limit and other types of orders available at your fingertips. Using MT4 on your Android phone is fairly easy. What you need to do is to get a platform, authorize with your existing trading account and explore the benefits of Forex trading from anywhere you wish. For the first-time users it is advisable to initially explore the platform’s features by logging in from a demo account. This is recommended as the platform has quite an impressive functionality, and it could be “harmful” to execute a trade unintentionally. 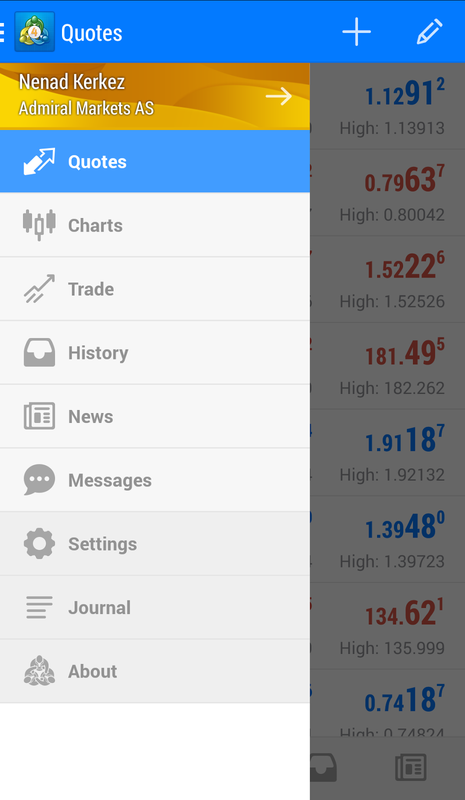 Start trading on your mobile phone right now with MetaTrader 4 for Android. Click on the button below to visit Google Play Store and download MetaTrader 4 for Android now! You will get access to MT4 Admiral Markets edition which comes preconfigured, so you will save up time on setting up the trading server connection.